Are you looking for a nearby dealership to purchase a new car or find reliable auto service experts? We have all you need and more here at Mike Anderson Chevrolet of Merrillville. We have an expansive selection of new and used Chevy models, as well as a trustworthy service center you can have confidence in. Learn more about our Chevy dealership near Schererville, IN below. Use US-30 E to hop onto I-65 N.
Take exit 255 from I-65 N.
Turn right at the second cross street onto Marcella Blvd. Turn right onto E 62nd St. Turn left at the first cross street onto E 61st Ave. We are located on the right at 1550 E 61st St.
Is it time for a new car? Whether you’re looking to buy new or used, we have the wide selection of Chevy vehicles you’re looking for. From the fuel-sipping Spark to the powerful Silverado 1500, you’ll quickly find the model you have in mind. 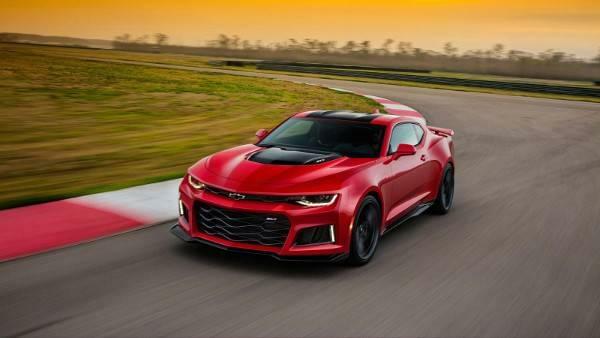 After you check out our new, pre-owned, and certified pre-owned vehicle inventories, schedule a test drive at our Chevy dealership near Schererville, IN. If you’re interested in purchasing a vehicle from Mike Anderson Chevrolet of Merrillville but don’t have all of the funds upfront, there’s no need to worry. Our financial experts will sit down with you and help you find a great loan or lease plan that makes sense for your budget. In a hurry? Get pre-approved for credit from the comfort of your own home by filling out our finance application online. When you own or lease a vehicle, it’s incredibly important to keep up with maintenance and repairs to ensure a long lifespan for your beloved Chevy car, truck, or SUV, but don’t put your vehicle in the hands of just any mechanic. Our team of certified auto technicians knows your vehicle inside and out and will fix repairs correctly the first time. We pride ourselves on offering a warm and inviting experience to every customer who steps into the showroom of our Chevy dealership near Schererville, IN. Above all, we want to give you the best customer service experience you’ve ever had, whether you’re buying a new car or receiving a simple oil change. For more information about Mike Anderson Chevrolet of Merrillville, send our team a message online or call 219-947-4151 to speak with someone directly.